UMP | University of Minnesota Press Blog: With NEA under threat, arguments across the aisle are united in surprising ways. With NEA under threat, arguments across the aisle are united in surprising ways. From an art historian’s perspective, one of the most fascinating elements of 2017’s American political landscape has been conservatives’ defense of the National Endowment for the Arts. These statements of defense have followed the Trump administration’s budget proposal, which as is now widely known, would eliminate the NEA, the National Endowment for the Humanities, the Corporation for Public Broadcasting, and Institute of Museum and Library Services in their entirety. Positions such as Amodei’s are a far cry from former Republican Senator Alphonse D’Amato’s denunciation of artist Andres Serrano on the floor of the Senate in May 1989. D’Amato branded Serrano’s 1987 photograph Piss Christ “trash,” and tore up an image of the work for performative emphasis. At that time, debates about the NEA centered on questions of art’s content, and on whether art with certain content was inappropriate for public support. Since those debates, the NEA has changed its practices, most notably by stopping direct grants to artists. It carefully distributes its grants across all 50 states, with sparsely populated states such as Vermont, Alaska, and Wyoming among the top beneficiaries in terms of per capita funding. Indeed, some important Republicans who vocally support the NEA hail from these states, such as Senator Lisa Murkowski of Alaska. Evident in current attitudes toward the endowment, however, is not just the impact of these pragmatic changes, but a new vocabulary for discussing the role of the endowment. That vocabulary centers on participation as opposed to on content. In this respect, the recent conversation demonstrates the centrality of participation to current understandings of art’s politics, and moreover, the way ideas about participation might serve as a common ground between people who agree on virtually nothing else concerning contemporary art. Few contemporary artists, museum professionals, or educators will identify with Huckabee’s understanding of creativity, nestled as it is between an evangelical worldview and unbridled enthusiasm for capitalist enterprise. But what is striking is that his emphasis on participation as central to understanding the role of art in contemporary culture finds parallels in leftist arts practice, pedagogy, and museum programming. We too are interested in activating our publics: the period since the Culture Wars has seen a huge expansion in the predominance in American art of practices which seek to engage broad audiences in diverse kinds of making, learning, and social interaction. Not only artists but also museums and galleries prioritize participation, deploying sophisticated strategies from digital engagement to on-the-ground interaction to help audience members be active producers of their own experiences. While Huckabee positions broad participation in the arts between God and Microsoft, leftist artists and art institutions also place value in participation’s ability to address both the ideal and the pragmatic. 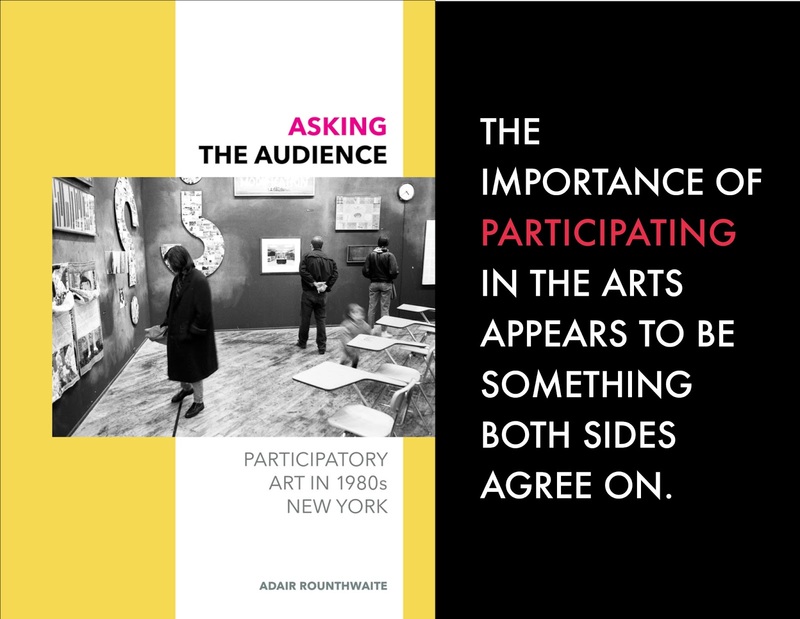 As I analyze in Asking the Audience, participation both captures the aspirations which animate socially engaged art, and brings attention to the concrete details of facilitating particular projects with specific audiences. 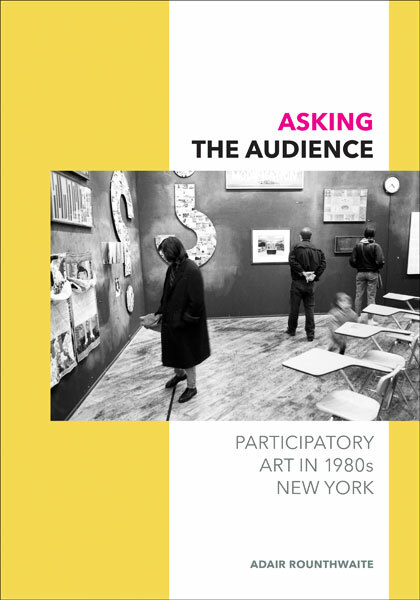 My book demonstrates that in the US, the late 1980s was an essential moment for the development of this participatory paradigm, which responded to changes in the funding, audience demographics, and politics of contemporary art. Arguably, participation as it operates in contemporary art has no content as such. Instead, it enables artists and museum professionals to create practices of engagement with particular publics to produce certain outcomes, while also letting that engagement remain dynamically animated by hopes, aims, and ideals that can’t be easily quantified. As such, perhaps the fact that participation has eclipsed content as the central focus in public exchanges about federal arts funding means that certain liberals and conservatives will be able to find more common ground in terms of articulating what the role of the endowments should be. It will be interesting to see how this round of threats gets played out, whether in defunding the NEA, in reshaping it, or in a continuation of the status quo. Indeed, the differences between the current NEA and the form of the endowment before the Culture Wars are so great that we might well ask whether the NEA “survived” those debates at all. Perhaps it makes more sense to think of it as having been eliminated and then regenerated in a new form, namely with participation displacing freedom of expression as one of its structuring commitments. In any case, it’s clear that in the early 21st century, participation is central to debates about art’s politics both within the art world and beyond it. For the time being, it will remain essential to conversations among politicians, art professionals, and public about what art can and should do in this uncertain moment. 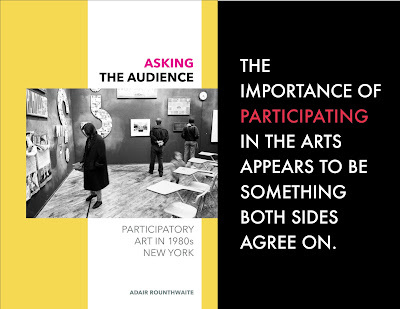 Adair Rounthwaite is author of Asking the Audience: Participatory Art in 1980s New York. She is assistant professor of art history at the University of Washington in Seattle, and has published essays on a range of topics in contemporary global art history in journals such as Representations, Camera Obscura, Art Journal, and Third Text. "Asking the Audience provides an invaluable foundation for understanding the emergence of institutionalized social art practice over the past fifteen years. Adair Rounthwaite's detailed discussion of the role of pedagogy and education grounds these projects in broader intellectual trends during the 1980s and early 90s." "We're just Potato Famine Irish."